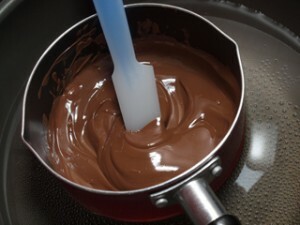 As you surely know, this is the chocolate covered snack called “Pocky”. 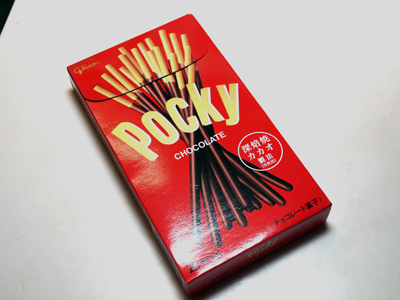 Pocky and snacks similar to it are popular worldwide. 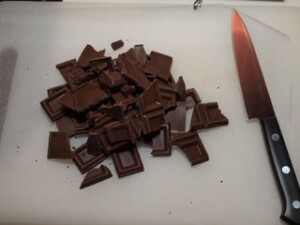 He slices the chocolate bars into pieces with a knife. 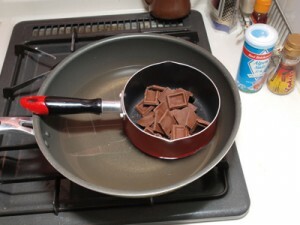 and then sets it in a larger pan of hot water. (the top part is cut off). 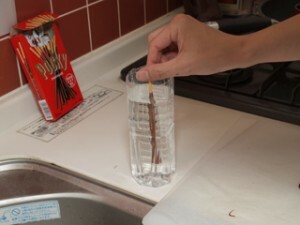 Dip a stick of Pocky. 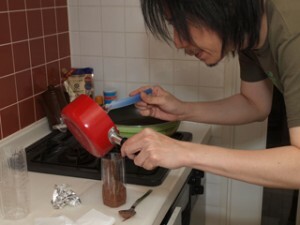 He rotates the stick to make the chocolate cool and solid. 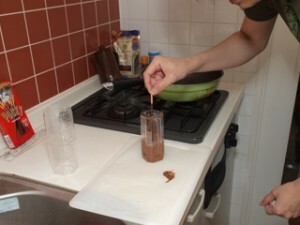 Now, he tries to make the chocolate harden in cold water. I don’t think it is very good idea though…. 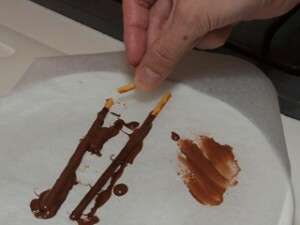 Creating chocolate-rich Pocky seems to be kind of difficult. 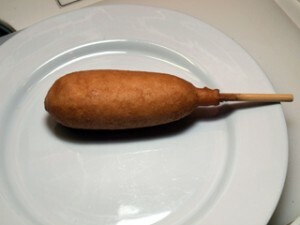 A corn dog! But why?? OMG! 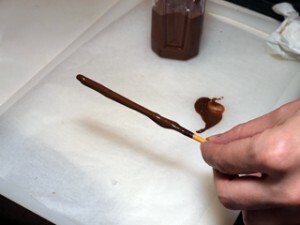 Now he’s coating the corn dog with chocolate. 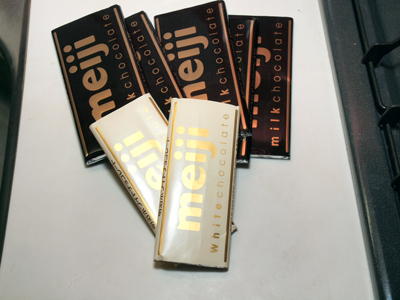 It’s not Pocky any more!! 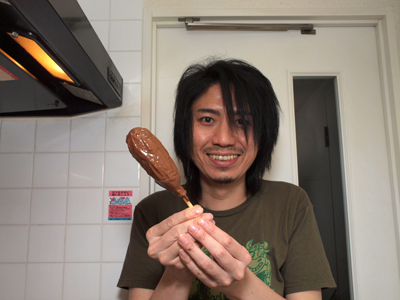 It’s a “chocolate-rich pocky looking chocolate coated corn dog”. 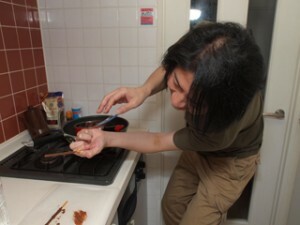 How complicated… On his blog he claims it tastes good, but I’m not totally convinced. How about you ;)?